Brassicas or Crucifers are plants belonging to the Brassicaceae family. The group includes many popular vegetables including cabbage, cauliflower, broccoli, brussels sprouts, asian greens, radish and kale. Important condiments including mustard and wasabi are also brassicas. 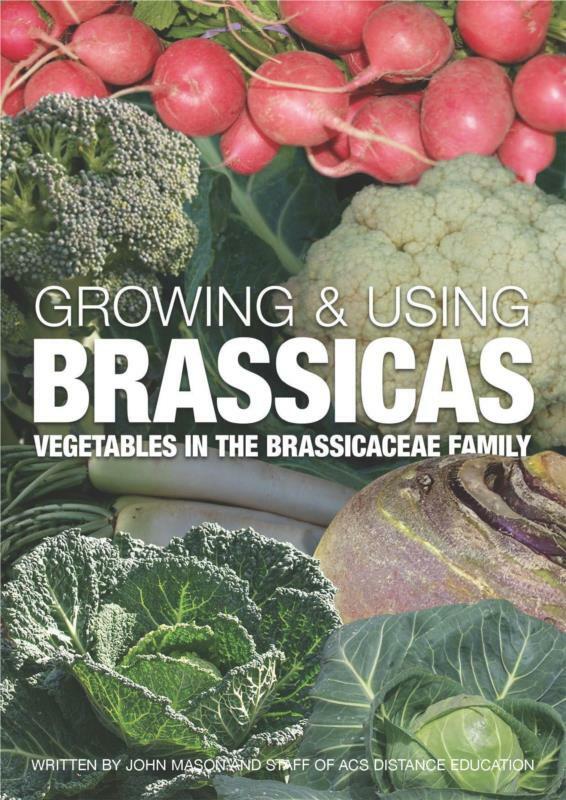 This book explores these and other brassica vegetables, and the differences between them in terms of how to grow them and how to use them. Many brassicas are winter food crops, but some can be grown all year round. Some need cold weather to perform, but others can grow well in warmer conditions. The contents of this book is the culmination of extensive research combined with many decades of practical experience by John Mason and horticulturists at ACS Distance Education.